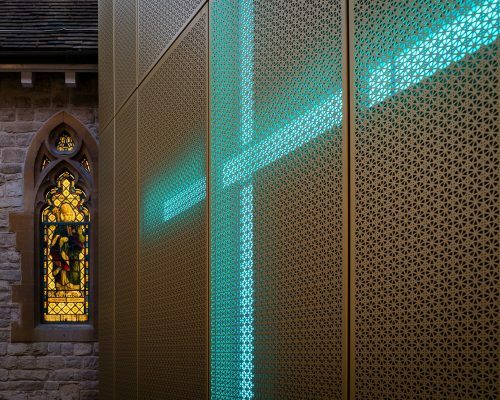 The project was to renovate and extend the University’s Victorian Chapel. 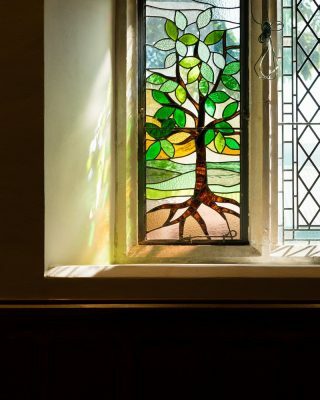 Originally built in 1880, and then extended in 1927, the Chapel is used for a number of different events and purposes: services, group meetings, concerts and as a place of quiet contemplation. 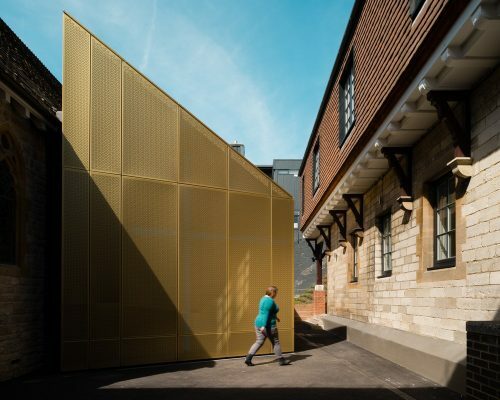 In 2015 the University commissioned Design Engine Architects to oversee a complete restoration of its internal and external fabric. 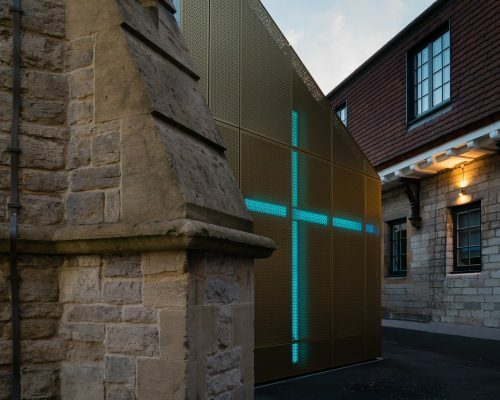 In addition, the University asked for an extension to the chapel, to include a small side chapel and a social and meeting space. 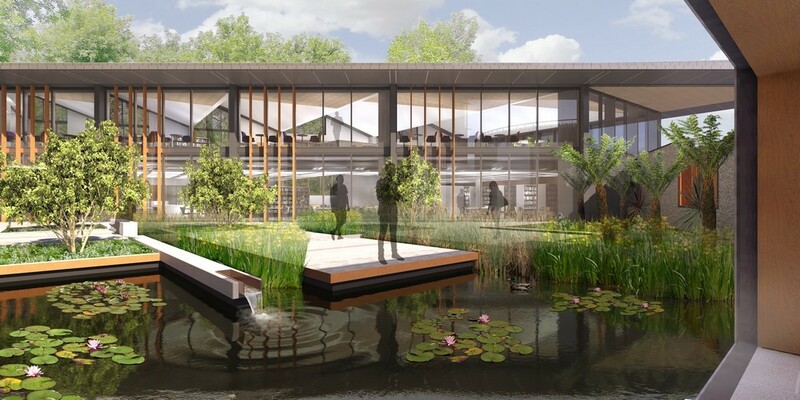 The brief was to create a very special project, to sit as a small ‘jewel’ in the heart of the campus. 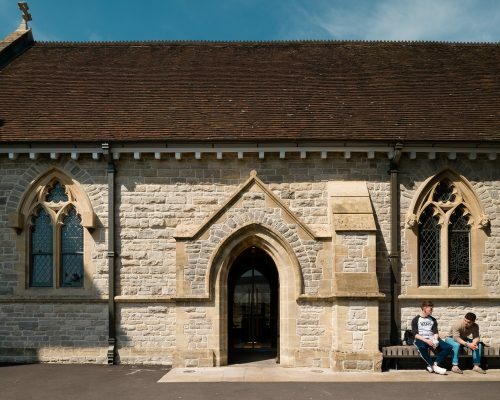 The interior of the original gothic revival chapel has been returned to its former glory with renovation work to the walls and timber ceiling alongside the introduction of new oak and stone floors, heating and architectural lighting. 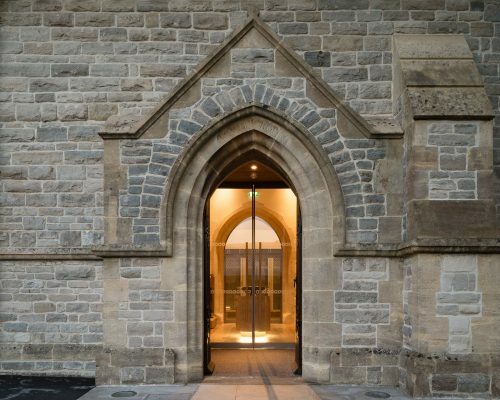 The university has chosen locally sourced Purbeck limestone, a material traditionally used for its decorative quality in churches and cathedrals across England, exploiting the natural characteristics of the embedded fossils within it. 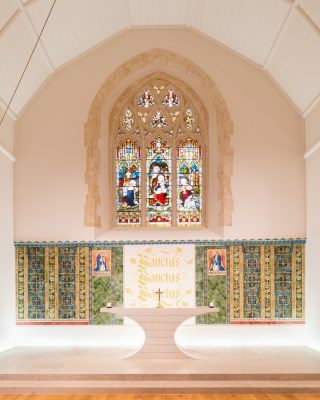 The original tiled frieze and angels on the Eastern wall has been restored behind the reinstated chancel steps. 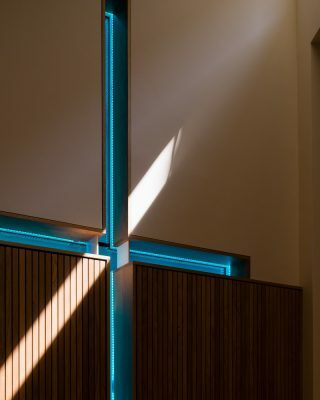 A new contemporary altar has been introduced, made from 7 horizontal sections of Purbeck stone. 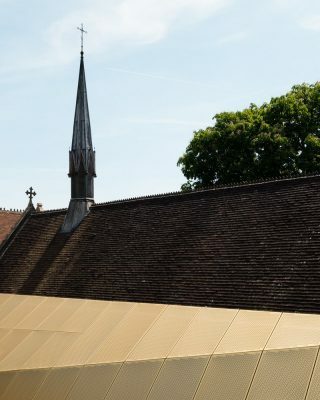 The seven sections make reference to number imagery within the Christian faith, as well as a celebration of the university’s anniversary; the stone sections also representing the seven 25 year time periods that make up the 175 years of the institution. 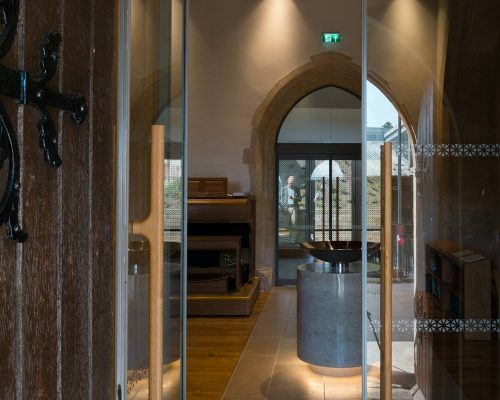 A new font has also been commissioned greeting visitors on entering from the South door. 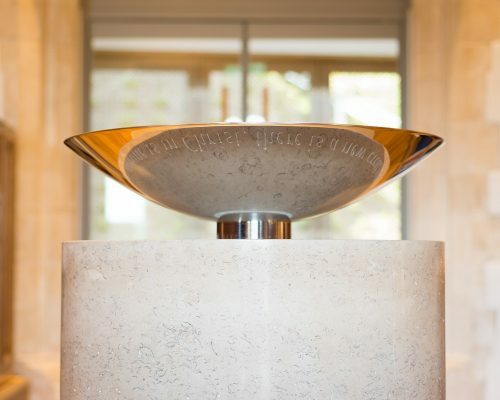 Designed to reflect light within the interior spaces, the font basin, made from highly polished stainless steel, is a section of a sphere, a reference to “light of the world”. 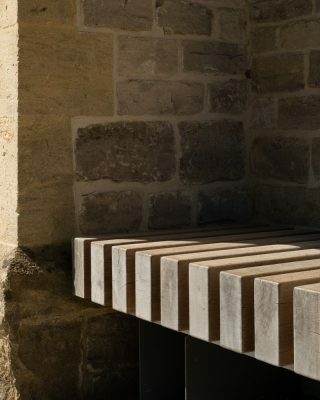 The basin is supported on a polished Purbeck limestone cylindrical plinth. 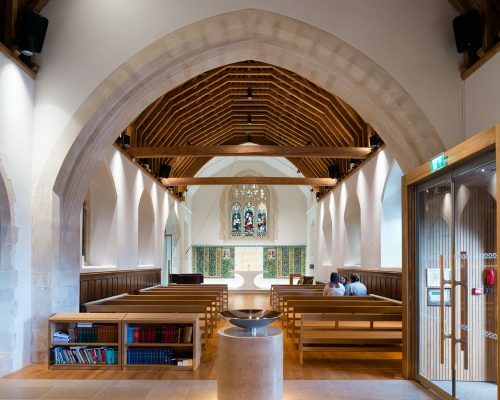 A number of bespoke oak furniture pieces were commissioned from and designed in collaboration with Luke Hughes, most notably the oak pews, lecturn, credenza storage units, bookcases and tables. 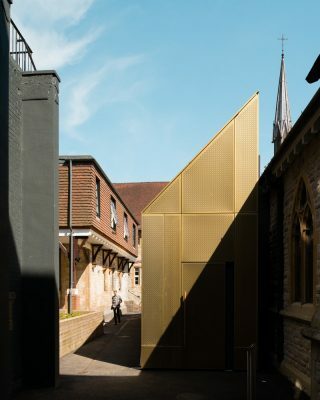 The obvious location for the extension was to the north of the main Chapel; despite the site constraints, the resulting design is an empathetic response to the gothic revival building where its connection, form and materiality seem both intuitive and exciting. The design consists of a pitched roof structure that mirrors that of the existing building and allows light to penetrate into the perimeter exterior spaces. 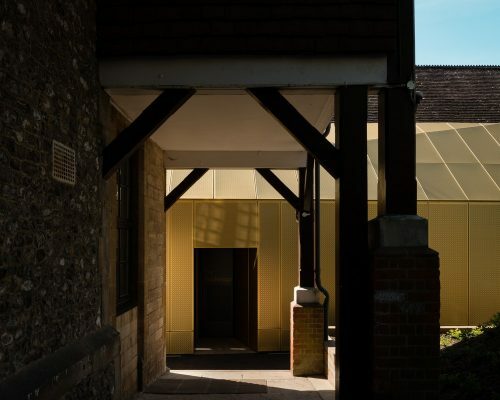 The ridge over-sails the existing building eaves line creating a clerestory window that provides both light and ventilation at high level. 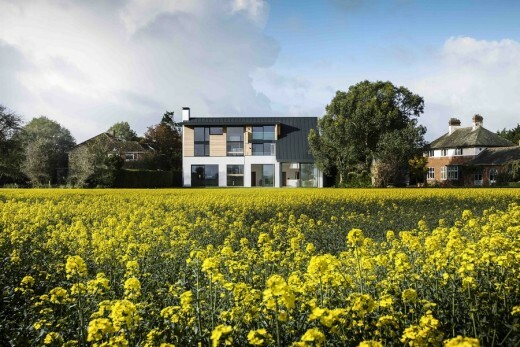 The plan form creates a twist in the pitched roof bringing an intriguing geometric dynamic to the new addition. 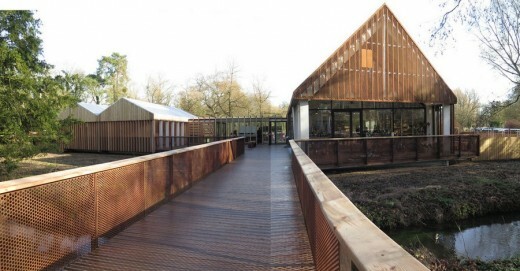 The form lent itself to a timber frame structure – a series of primary wall and roof trusses, each one different to create the changing form. 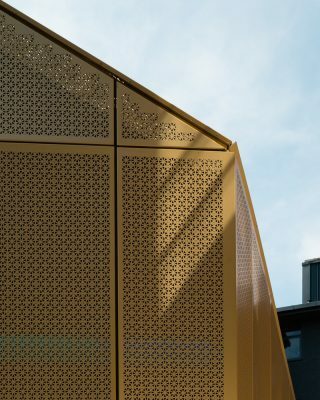 Externally, the form is clad with perforated aluminium panels, anodized to give a highly reflective ‘gold’ finish, giving a dramatic textural surface to the building that is continuous over both roof and wall, allowing the building to be interpreted at different distances and scales. 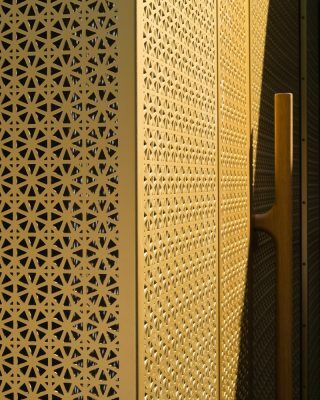 Design Engine developed a pattern referential to the existing architecture and an interpretation appropriate for the 21st century.